The ability to get new therapies to patients can be delayed by months or even years if a company is not able to navigate today’s complex regulatory environment on both a global scale and at the local level. This is especially true when it comes to rapidly maturing markets like China, Russia, Turkey, Brazil and Korea. Consider that, 30 years ago, Japan did all its own development, and there was no market in China. Today all that and more have changed, and companies must be conversant in a multitude of regulatory requirements in place throughout the world. They also must work collaboratively with those health authorities to develop clear labeling on the appropriate use of their medicines and get those needed medicines to patients as quickly as possible. And product safety and efficacy aren’t the only considerations. 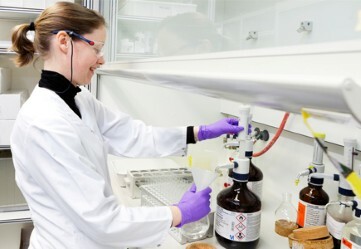 For instance, many countries in these rapidly maturing markets now have their own chemistry, manufacturing and controls requirements for verifying a drug’s composition, stability and the controls to be used in manufacturing the drug substance and the actual product (pill, injectable, inhaler, etc.). Brazil, for example – the world’s sixth largest pharmaceutical market – now requires its own stability data. In addition, more countries now have their own manufacturing facility inspection criteria. The value of the discovery and pre-clinical research is of limited use if the product cannot be manufactured and brought to market. This makes it critical that companies cultivate deep familiarity with local regulatory environments and that this intelligence is available at the regional and global decision-making levels on an ongoing basis. The earlier regulatory affairs is engaged when a compound is in development, the better. At Janssen, we start assessing the regulatory landscape and embed our regulatory experts – who have deep oncology and therapeutic area expertise – in compound development teams from the earliest phases of a project. This helps to ensure that we have the data and labeling necessary to satisfy requirements for reimbursement within local markets. We believe that’s the best way to ensure development and registration plans provide patients worldwide with access to important new therapies as rapidly as possible. Sandra (Sandy) Rattray, Ph.D., leads the Oncology Therapeutic Area (TA) group within Global Regulatory Affairs (GRA) at Janssen Research & Development, LLC. Her group provides regulatory leadership, management, strategic input and support to all projects and products across all stages of development within the Oncology Therapeutic Area. Read her full profile.